Melanie Shankle was in fourth grade when her teacher asked her to read a story she had written to the entire class. Even though that story now seems a little silly and simplistic, it made the students in Mrs. Rice’s homeroom laugh out loud, and a little dream began in Melanie’s heart—a dream to use words to make people laugh. Over the ensuing years, Melanie wrote when she had a chance and tucked things away in notebooks and journals, rarely showing any of it to anyone. But in July 2005, on a total whim and in desperate need of a creative outlet, she began writing a blog called Big Mama. No one was more shocked than Melanie when someone other than her dad and her college roommate began to read it. Since that time Melanie has seen her blog readership grow beyond her wildest dreams and open the doors to writing and speaking opportunities she never could have imagined. It’s proof that God wasn’t playing around when he inspired Paul to write Ephesians 3:20. It is “immeasurably more” than she could have asked or imagined. 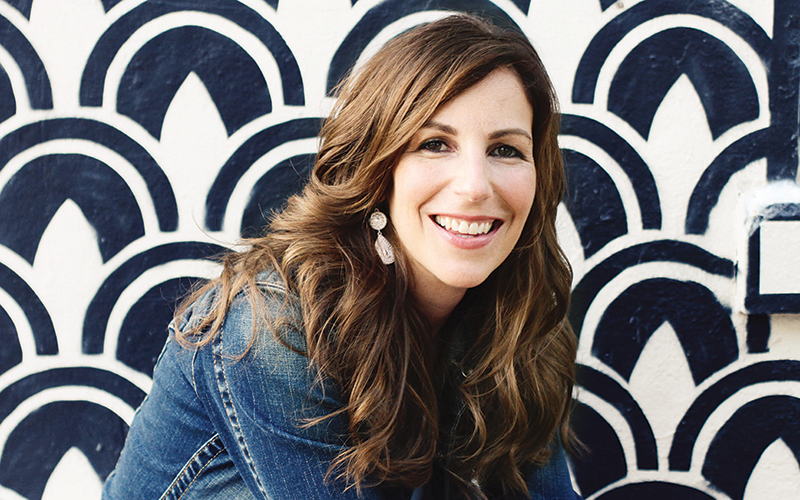 In addition to her blog, Melanie writes a quarterly column for the popular online magazine Praise and Coffee, is a regular contributor to the Pioneer Woman’s blog, and serves as co-administrator and writer for LifeWay Women’s AllAccess blog. She also serves as emcee for LifeWay’s annual DotMom event and participates in Compassion International’s blogger initiative. Melanie’s first book, Sparkly Green Earrings, is a New York Times Bestseller. A graduate of Texas A&M University and a former pharmaceutical rep, Melanie loves writing, shopping at Target, looking to see what’s on sale at Anthropologie, and encouraging other moms in a humorous, yet relatable way at TheBigMamaBlog.com. Melanie lives in San Antonio, Texas, with her husband, Perry, and daughter, Caroline. She graduated from Texas A&M in 1994 while possibly on scholastic probation. Melanie began writing her blog, Big Mama, in July 2006. She is the author of New York Times bestsellers Sparkly Green Earring and The Antelope in the Living Room. She is a regular contributor to The Pioneer Woman blog and in her spare time she likes to shop good sales, watch too much television, and laugh at things that are sometimes inappropriate.